This quote is how the controversial modern iconoclast Nassim Nicholas Taleb describes what he does. Equally it could describe the UFO and alien abduction mystery. 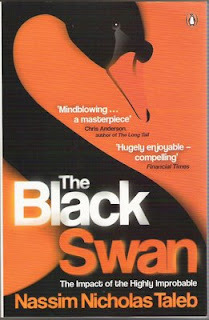 The UFO mystery we know so little about and have so little control over, is one of those Taleb “Black Swans”, a thing that “lies outside the realm of regular expectations”, “it carries an extreme impact” and “human nature makes us concoct explanations for its occurrence after the fact, making it explainable and predictable.” These are key attributes of Taleb’s “black swans”, events of rarity, extreme impact, and retrospective predictability. It is precisely in the third attribute that mainstream science and media have let us down. They tried to explain the whole phenomenon away, but it is exactly the phenomenon’s ability to remain highly improbable to mainstream perceptions, but to have high impact in incredibly mysterious and profound ways, which should guide us. We have to learn to “expect the unexpected” and learn to understand it and learn from it. One of those striking pieces of “surprise material” – an extraordinary “black swan” – nested in the environs of Westall back on April 6 1966. 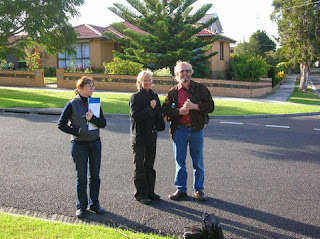 On 5 July 2008 I was able to undertake an on site detailed investigation and interview at Westall in Melbourne with V. who was a key close encounter witness of part of the striking Westall school event of 6 April 1966. 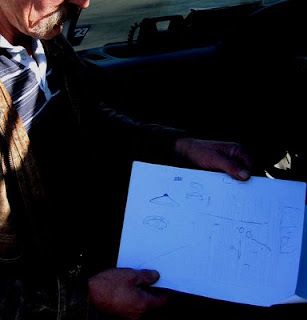 I videoed the interview and got him to do a rough layout map of the incident. Here he is pointing out the school and oval. my preliminary sketch of the events V. described. In the incident young V. stood to the left close to the object, while 3 other students stood around in close proximity to the second object. A teacher and at least a dozen other students crowded along the high fence to get a view. The two objects rose up from the grass and took off, one to the west, the other flew up and orbited a small plane before flying down to the south west Grange reserve area, with students in pursuit. My sketch is preliminary and not quite to scale. 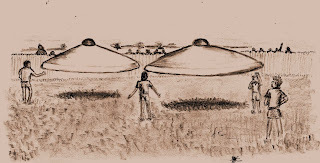 The UFOs were described as about 1.5 metres in height and approximately 5.4 metres in width. They left behind two circles of burnt grass. V. went home for lunch straight after this extraordinary experience which swept up the rest of his school. He explained to me that he didn’t need to see any more that day (6 April 1966) because he had seen the exact same object a few years earlier, when as a young child he was trying to take a wooden pallet from a factory site near the Westall Grange area during the early hours of the morning. His escapade was interrupted when a UFO flew over. 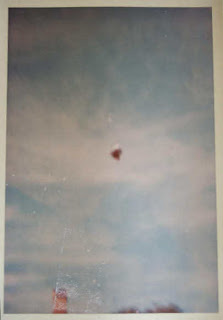 It was the same looking object he would see during daylight at Westall in 1966 along with many in his school, but it was flying on edge – an appearance captured in a polaroid photo taken near Balwyn 4 days before the Westall incident! There were other similar encounters during this period of the 1960s in the area around Westall and neighbouring isolated suburbs of Melbourne, which in those days was the outer edge of the city. This area still had an isolated almost country feel to it. 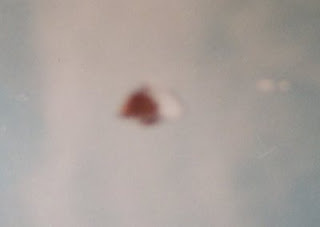 The colour Polaroid photo was taken of a UFO allegedly seen over the Melbourne suburb of Balwyn, at 2.21 pm, on April 2nd, 1966, 4 days before the school landing. The photographer was a local engineering company business man who was also a member of the Victorian Flying Saucer Research Society. He requested that his name not be used, so he was referred to as "James Brown" in some accounts. I have spoken to him on a number of occasions. He impresses as a well credentialed person of wide business and consultancy experience who through a range of extraordinary life experiences has had a remarkable role in the complex and bizarre UFO mystery. "He lived in a 'phenomena soaked' world," according to a family friend who knew him. "I remember (him) very fondly and think of him as someone who in his own way added colour to an often hueless world." The weather was warm and clear. Suddenly the house garden lit up as if there had been a reflection from some huge mirror. Brown looked up and saw a bright, shiny object coming towards him. He estimated its diameter at being between 20 feet to 35 feet. The object seemed to about 150 feet up in the air. It appeared to float down towards the witness. The strange object resembled a big mushroom with the stalk pointing towards earth. It spun through a 180 degrees angle on its vertical axis, then the witness photographed it. The object then turned slowly through another 180 degrees on its horizontal axis bringing the stalk to face the business man. From what seemed a virtual stationary position it shot off northwards at great speed, seemingly accelerating to be hundreds of miles an hour in seconds. The witness ran and got a carpenter who was working on the house. They heard a boom similar like a sonic boom seconds later. The VFSRS president Peter Norris knew the witness and interviewed him and the carpenter. The carpenter confirmed Brown's story, stating he had Brown in sight when the photograph had been taken. The two had stood shoulder to shoulder as the Polaroid photo developed. Despite Brown's apparent inclination to keep the story quiet, the photo and story was released to the media. The incident received national press and television coverage. Despite this, there was no public interest apparent from official organisations. VFSRS issued a report on the photo which indicated that the polaroid photograph and an enlarged copy showed no evidence of a multiple exposure, montage or any other form of tampering. The US organisation, APRO, had their photo consultant examine the photo. Dr. B.R. Frieden, Professor of Optical Sciences at the University of Arizona, reported finding "a jagged line of discontinuity running across the centre of the photo, through the cloud field, which suggests that there are actually 2 separate photos joined together and rephotographed to make the one." APRO therefore regarded the photo as a possible hoax. The photo also apparently "failed" the GSW (Ground Saucer Watch) computer enhancement technique. Although aware of these results, Brown still maintains the photo is a genuine one. Given what I have learnt with regard to the circumstances of the photo incident, how it was witnessed, that it was a polaroid photo, and that the GSW analysis technique has been criticised as sometimes being unreliable itself through questionable application and poor methodology, there is considerable evidence that the Balwyn photo may indeed be legitimate. Note also the fact that the Balwyn UFO was captured on the photo flying on edge just as described by the Westall school witness V’s earlier UFO experience. Brown claims that while there was no public official interest in his photo when it became public, there was intense clandestine interest. 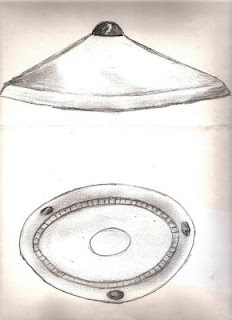 He indicated that interest was directly attributed to the fact that his photo showed an object that was ostensibly identical to the Westall object observed 4 days later. Brown described how all hell broke loose when the photo was released to the media without his permission. He claims he came under intense scrutiny by the military and intelligence agents. He alleged that helicopters surveyed the area repeatedly and that he was interrogated by military, intelligence and CSIRO officials on numerous occasions. Brown claims he was taken to a clandestine meeting attended by military, intelligence and CSIRO representatives and at least two individuals noted for their high public profile on the UFO phenomenon as advocates and witnesses. It was at this meeting he claims to have been told about an extraordinary film event at Dry Creek Tracking Station and Woomera during 1963. Brown also told this story to Leonard Stringfield. Allegedly a low level, football shaped UFO apparently caused an electrical outage and radar blot-out at the station and at the Woomera rocket range. The UFO was allegedly witnessed by Australian scientists. Camera-men took 16,000 feet of colour movie film of the UFO, which was ostensibly passed onto Washington, D.C. for further evaluation. While intriguing, none of the information could be substantiated. While on the more controversial end of this particular “black swan nesting” it is interesting to note that a curious and provocative message was placed on a U Tube comment page connected to an unrelated and foreign US UFO case controversy video. It stated: “My father, who served in the Australian Air Force for 21 years told me just before he died that he had contact with an Alien Ship in Victoria in the 60’s. The event is known as the Westall Incident. He told me our minds are so controlled and dominated by the “Powers That Be”, that no-one has the time or energy to let down their guard for long enough to let the truth sink in. So it’s easier for them to cover up. We have a lot of sheep here in Oz but sadly most of them are Human Beings.” The author writing under the anonymous identifier “Illumani101” has so far not responded to efforts to get a clarification. It is unclear if this message is genuine or fake. There is little doubt that controversy, intrigue and bizarre elements swirl around the Westall saga. Extensive investigation and research is continuing into this remarkable case, most recently including the efforts of documentary film maker Rosie Jones and Canberra academic Shane Ryan, who I have been working with. I have always seen the Westall case as a striking affair and have undertaken numerous enquiries, investigations and research into the events over the years. Something altogether intriguing and interesting occurred at Westall on April 6 1966. These cooperative efforts are bringing together greater knowledge of the 1966 Westall UFO “black swan” and maybe sometime soon its mysteries will be fully revealed. At the April 2006 Westall reunion – with Rosie Jones (director) & Carmel McAloon (producer); and with Shane Ryan & George Simpson, AUFORN’s Victorian director. 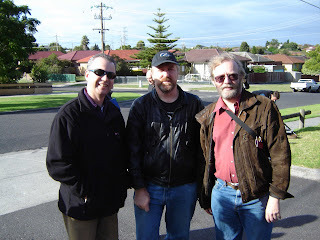 Thanks to V. (the 1966 Westall school UFO witness), Rosie Jones, George Simpson, Shane Ryan and "James Brown".